Bella's Beauty Spot: Splash Into a Safe Skin Summer with Eucerin: $100 Visa Gift Card Giveaway Plus More! Splash Into a Safe Skin Summer with Eucerin: $100 Visa Gift Card Giveaway Plus More! Summer is HERE! Yay! Fun in the sun, swimming, warm weather, flip flops and did I mention warm weather? Here in Arizona it gets HOT! I mean about 105 hot, now that is SUMMER for ya! But with the change in temperature, we have to be careful with our skin. Sun exposure can cause wrinkles, age spots and in some cases, even lead to skin cancer so it’s important to sensibly manage your sun exposure on a daily basis. Keep your skin protected to limit sun damage from UVA and UVB rays. Wear sun protective clothing – Did you know fabrics have an ultraviolet protection factor (UPF) rating that measures their level of UV protection? These fabrics provide more protection than other clothing due to the tighter woven fabric. Look for clothing with a UPF rating of 30 or higher. Use Daily lightweight moisturizers that have SPF to protect skin even on cloudy days - Eucerin Daily Protection Lotions are lightweight SPF moisturizers that provide head-to-toe sun protection. SPF 15 Body Lotion helps protect against daily UV exposure while SPF 30 Face Lotion moisturizes and protects with UVA/UVB sunscreens. · Stay inside or seek shade when the sun’s rays are the strongest – between 10 a.m. and 2 p.m. A beach umbrella or portable shelter can help protect your skin from the heat and sun’s rays. Eucerin is once again trying to ensure everyone takes good care of their skin, while having fun at the same time. 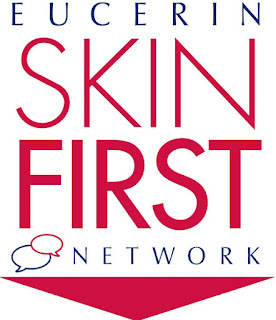 That's why thanks to Eucerin, we have another fabulous giveaway, one winner takes all! Sun Hat to help protect your face and the top of your head. · Eucerin Daily Protection Moisturizing Body Lotion Sunscreen SPF 15 (13.5 oz.) – Helps protect skin from daily sun exposure with a lotion specifically formulated to moisturize and protect. This light, fast-absorbing formula with SPF 15 sunscreen provides 24-hour moisture and helps defend against sunburn. Awesome right? Remember readers are also able to get two free samples of Eucerin product, simply by liking the Eucerin Facebook page. Follow the instructions, take the pledge and you are set! And if you are unsure what Eucerin products are right for your skin type, Eucerin has a brand new Skindicator App which helps you determine what products you should be using to keep your skin looking the way it should. Hi! I read your post. Really, so impressive and very helpful. I appreciate your all beauty tips for splendid and beauteous look. Cool hat and nice to keep feeling good during summer. I like Eucerin..